Locally known as the Green & Gold tour this combo will certainly introduce you to the diversity and richness of the wilderness surrounding Queenstown. Combine two of the most scenic activities into one day of adventure. 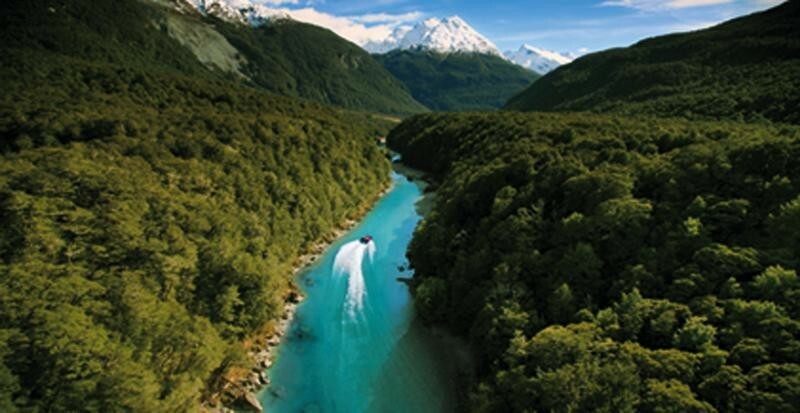 Your day will start with a scenic jet boat ride with Dart River Safaris and will be followed by a 4WD adventure exploring Lord of the Rings filming locations. The whole experience was great and fun. Pickup was punctual from hotel. When booking, was supposed to send us back to hotel at the end but was surprised it was not included. Shotover jet have shuttle bus service to Queenstown city centre so we managed our own way back and have a walk in the city centre on our own after the jet boat. Fun and enjoyable tour. Had a 1/2 day tour as full day was sold out. Would definitely recommend a full day tour. Easy to book and the online chat advisor is very helpful and friendly. Love it except busy fending off sand flies even we have applied repellent. Thinking of booking this activity. Wondering about lunch and morning and afternoon tea. Will they be provided? Heya, No lunch is included so you will need to bring your own snacks/lunch. Which exact Lord of the rings locations, do you see on this combo tour? Hi Tasmin. The 4WD and Dart River Jet Combo from Queenstown is made up of two half day tours. The first of which is the dart River Jet boat safari in the morning which takes you to the town of Glenorchy located an hour from Queenstown at the head of Lake Wakatipu. From there you will venture into the Mt Aspiring National Park where many scenes from the Lord of the Rings and Hobbit movies were filmed. View the Red Beech trees of Lothlorien or the hillocks that hosted Beorn's house in the recently released Hobbit: the desolation of Smaug. Behind them the Misty Mountains rear their heads and the Greenwood spreads. Ian Brodie, author of the official Lord of the Rings Guidebook commented that "there is more Middle Earth in Glenorchy than any other part of New Zealand". After your jetboat safari you will be taken back to the Queenstown area where you will enjoy an afternoon of four wheel driving with Nomad Safaris on the Wakatipu Basin tour. Catch sight of the Misty Mountains and the Pillars of Argonath where Isildur fell, as well as the Ford of Bruinen. Peer down at Deer Park Heights, where the battle of the Wargs was fought and where the Rohan refugees marched. You will also enjoy gold panning, river crossings by four wheel drive, weather permitting, and excellent views of the Queenstown and Arrowtown surrounds. You will be treated to a visual smorgasbord that includes towns, large tracts of rolling farmland, dramatic canyons, imposing mountains, rugged bush and the renowned Kawarau Bridge Bungy.